When Marvin T. Runyon was United States postmaster general, he banned his public relations spokesman from saying “no comment” to queries from the news media. That tradition died when Runyon, whose wife was a public relations executive, left office in 1998. It was nowhere more apparent than on Dec. 29, 2017, when Postmaster General Megan J. Brennan and her spokesmen left unanswered charges President Donald Trump made on Twitter about the U.S. 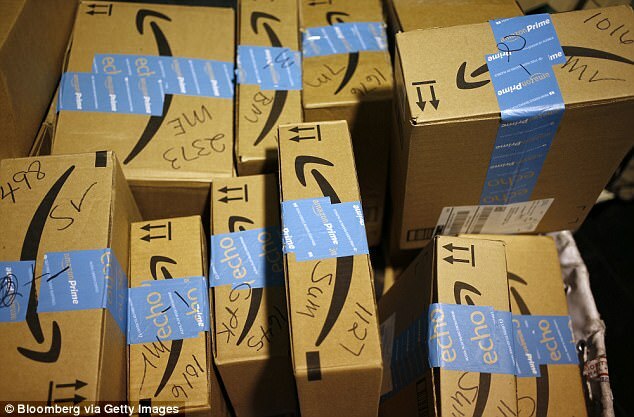 Postal Service’s package delivery contract with retailing giant Amazon. Despite the reluctance of the USPS to tangle with one of the president’s tweets, there was no reluctance by one of the agency’s top public relations officials to challenge a lesser-known critic who also questioned the USPS package business. Ross Marchand, director of policy at the Taxpayers Protection Alliance, made his allegations in a Jan. 2 op-ed column for THE HILL, a Washington, D.C., newspaper that typically focuses on Congress. Like Trump, Marchand claims Amazon is paying the Postal Service too little for package delivery services. It was “a misinformed and misleading rant” complained David Partenheimer, the agency’s public relations manager, in a Jan. 5 response. Although it was not intended as a response to the president, Partenheimer’s comments to THE HILL easily could be taken to be what the Postal Service also could have said to Trump’s demand that the USPS sharply increase its prices for Amazon’s parcels. “Some of our competitors in the package delivery space would dearly love for the Postal Service to aggressively raise our rates higher than the marketplace can bear,” wrote Partenheimer. That would help the competitors “so they could either charge more themselves or syphon away postal customers,” he added. The spokesman continued to praise the Postal Service’s pricing policies, saying they were created to give “reliable, universally available and affordable delivery options” to postal customers. “These strategies are applied fairly and reasonably and reflect the needs of the public and the marketplace,” Partenheimer said. “To suggest otherwise is a detriment to the reader and the consumer,” he concluded. That, perhaps, is a bit more pointed than Postmaster General Brennan wants to be with the president. But it was a strong defense of what has been one of the few bright parts of the Postal Service’s revenue streams. Brennan has long said that packages are a key element in the agency’s efforts to deal with the erosion of first-class mail volume. Letters, long the mainstay of USPS revenues, continue to decline. Parcels are seen as a way to save the organization. That’s a lesson that Brennan hopes the president — and Marchand — can understand. This entry was posted in Downsizing USPS, General Union Business, Postal Reform and Politics and tagged amazon shipping agreement, e-commerce giants, package delivery contract, postal rates, postal reform, Postal Regulatory Commission (PRC). Bookmark the permalink.